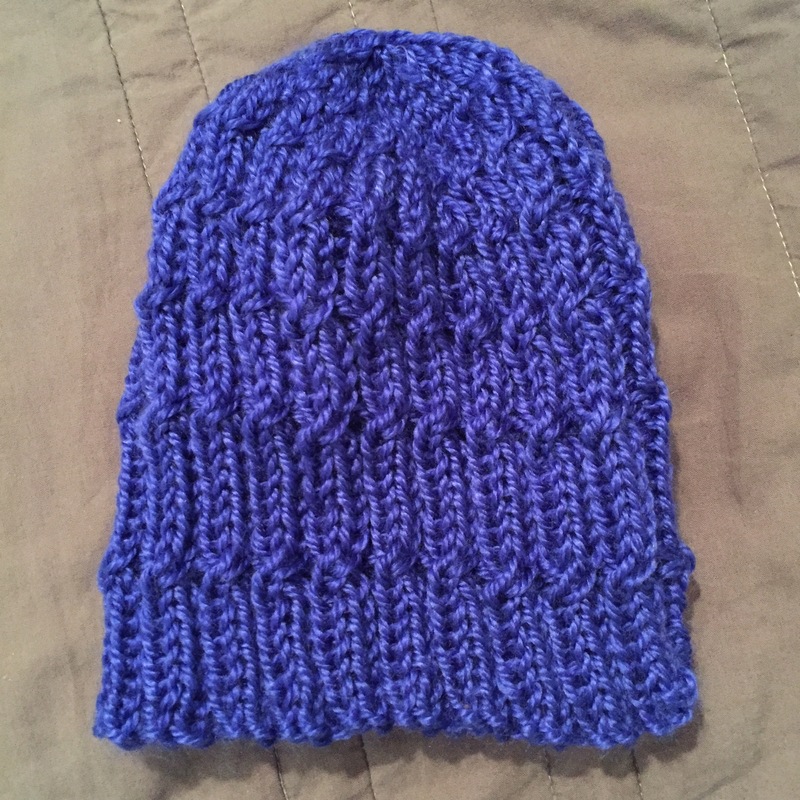 I used size 8 needles on this one. 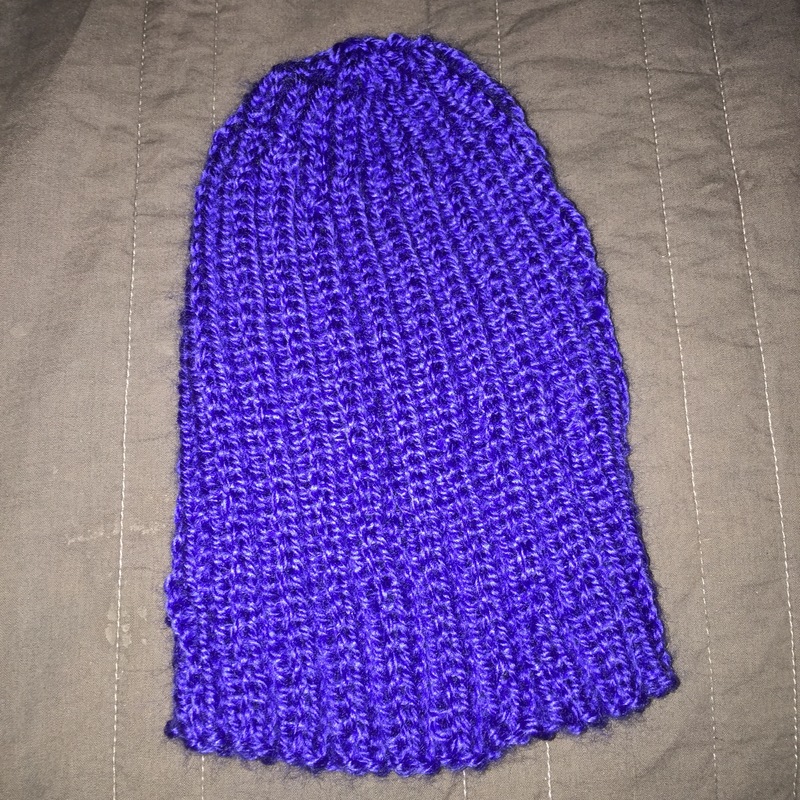 It’s a 2×2 rib, but with cables periodically in the knitted stitches. I used size 7 needles on this one. It’s a plain 2×2 rib. Perfect for a manly 7 year old, right?